We focus on building customized platforms. Over the years, we have separated out a few parts that we call products. That doesn’t mean that they are boxed solutions, delivered on a DVD. They’re still platforms for customization and integration with your overall communication platform. We have them and use them. Part of the data model for a customer trunk in the Edvina SIP Trunk Server. The Edvina SIP Trunk Server is a Kamailio-based framework for SIP trunk provisioning. 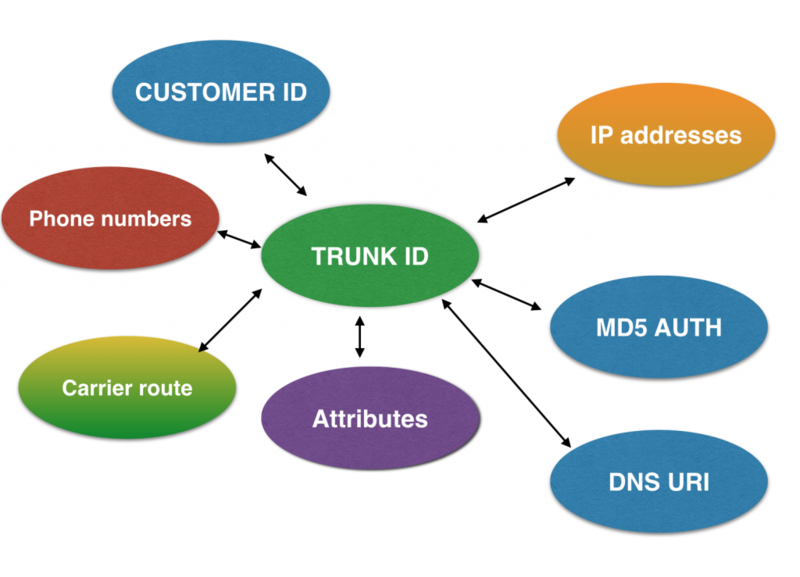 Customer trunks can be provisioned with IP-based authentication or stronger authentication schemes, with or without TLS. This server is in use in our own service as well as having been the platform we’ve built many customer-specific solutions on. By starting with our base configuration code you will save many man-months of work compared with building your own system. 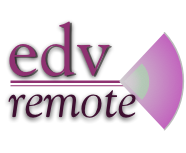 The Edvina Remote Office server is a package based on Kamailio, the Open Source SIP server. Targeted at the Asterisk installed base, it adds security, protection, failover and much more. The Edvina Remote Office server delivers survivability for remote offices, PSTN failover, enhanced security and much more. Our version of the Asterisk Open Source PBX from Asterisk.org with a few patches that enhances the product. Because of the release policy, the open source project does not add any new features to an existing release. We work with many customers that need a new feature in the release in order to provide an enhanced service. For this, we created EDVX – a service where we manage the Asterisk product they use. All the major patches exist on Digium’s svn server and are included in Asterisk 1.8 or later editions of Asterisk. This Asterisk version is in production at over 400 customer sites, handling millions of calls each month and is maintained by Edvina on behalf of our customers. If you are interested in a discussion about code maintenance of Asterisk – our Edvx or your own specialised version – contact us today! Just delivering the server applications doesn’t give a scalable and reliable platform. We have built an infrastructure that makes sure you have failover and monitoring, ease of installation and configuration as well as a controlled roll-out. This foundation is the platform we use for all servers we install, delivering a highly reliable platform. We have scripts to install the platform quickly, making sure that all servers are installed the same way and managed the same way. Want to build scalable SIP trunking platforms? Start with the Edvina SIP trunk platform, built on Kamailio.